Mémêre was my mother`s mother, my grandmother, an Acadian lady by the name of Hélèna Allain (nee. Richard 1900). She was a wonderful grandmother who made a big fuss whenever we`d visit her during our summer holidays. My father was in the Air Force, so we usually we lived a long ways away from her, which made a trip to visit her a very joyous event for us both. 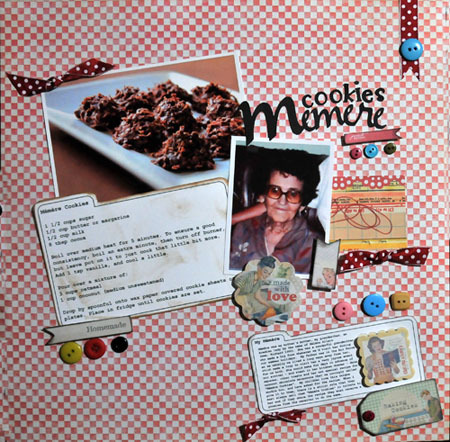 She would bake for days in advance of our arrival – and stash in her kitchen drawer – date squares, other treats and her own special recipe for coconut chocolate macaroons that we lovingly called “Mémère Cookies”. My children love this unique cookie too, and have asked for the recipe. When I give it to them, there is a strict rule that they must always call them “Mémère Cookies” in tribute to her and if they share the recipe they must receive a promise from the receiver to do the same. 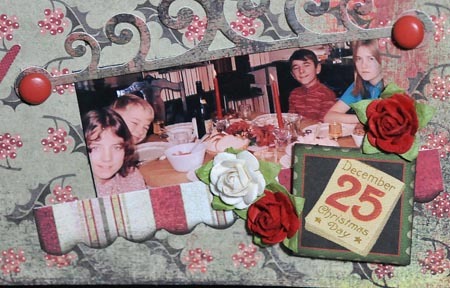 I made this layout to honour the memory of my Mémêre and her cookie recipe for the 15th December sketch challenge over at another Freaking scrappy challenge … using Melissa Frances paper and embellishments. 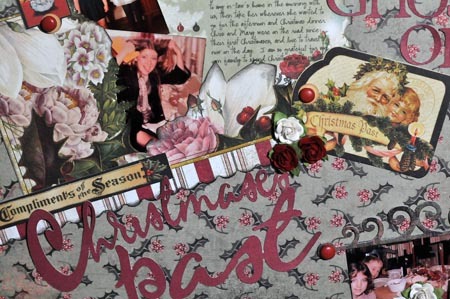 Oh my gosh, this was a bittersweet layout. 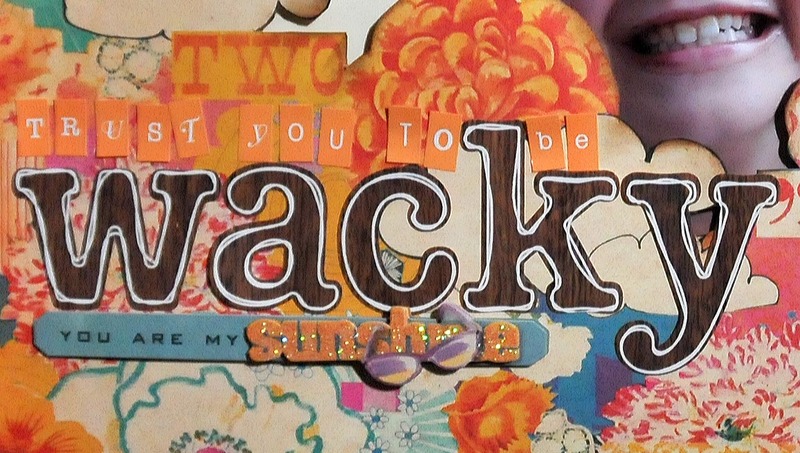 I was inspired by Nadia Cannizzo‘s Once Upon a Sketch blog, where she supplied a wonderful sketch for inspiration and asked those who played along this challenge to “write at least 2 sentences on what you look forward to in the next month. December is a festive month so your journalling could be about the Christmas season, the holidays, the presents or if you do not celebrate Christmas what does December bring for you that you look most forward to?” I am not certain that my journalling really follows her challenge, but I found her sketch so inspirational that I just needed to use it to express what I needed to express this season. We all have memories we wish we could relive. I was so happy to honour mine with this layout. And I am so happy to be able to create Christmas memories at this time for my own family to cherish. 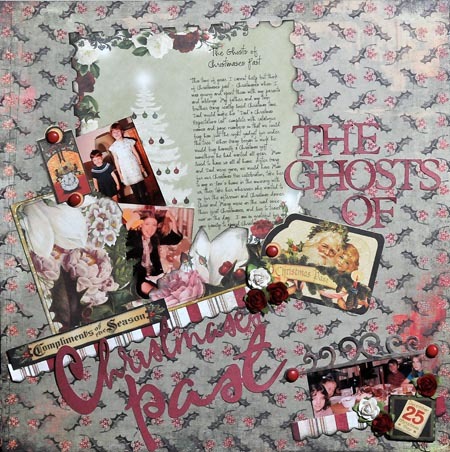 Nadia’s creations are inspirational, as is her challenge blog. 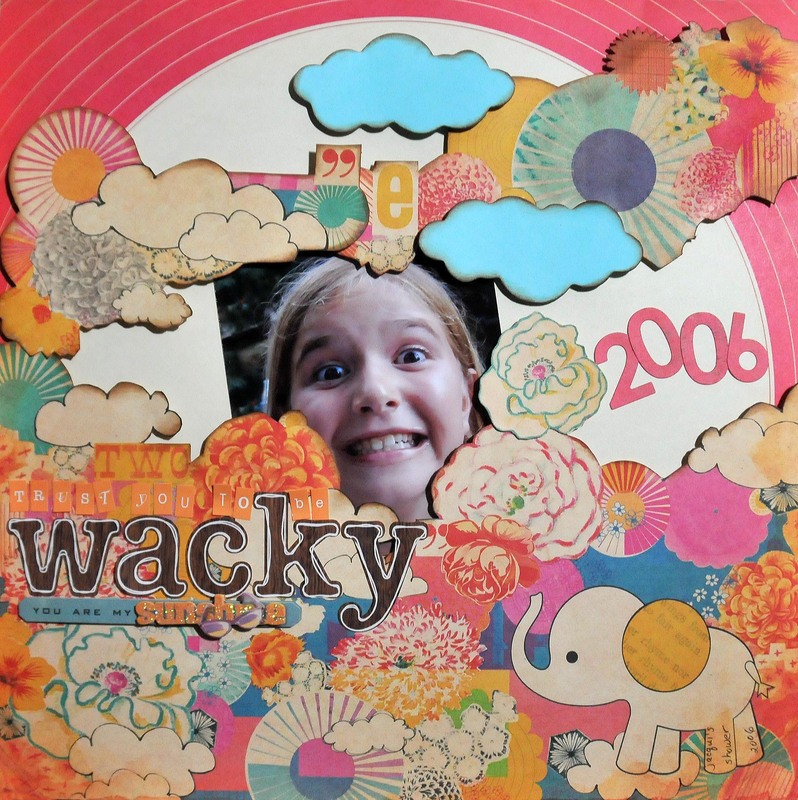 We are very lucky to have her as guest designer for another Freaking scrappy challenge … – I had no idea at the time I asked her that she had so much else going to challenge her own and other’s creativity. So nice to meet new friends to inspire us !! 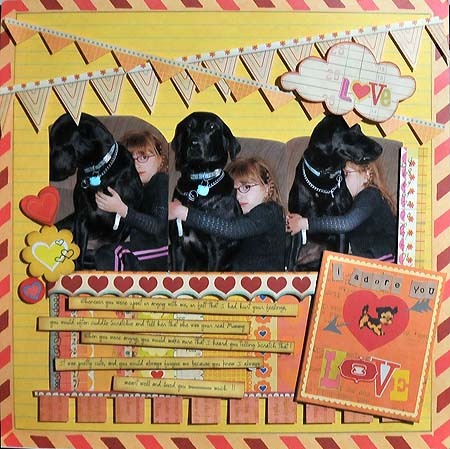 Here are Mary and Scratch in a layout done with Sassafrass Paper Crush Heartsick Cure papers for a challenge at Bird is the Word using the word adore. Mary used to hug Scratchie when she was mad at me, or if I hurt her feelings when correcting her and tell Scratch that she was her real Mommy – especially making sure that I heard her say that when she was angry with me. Was pretty cute. 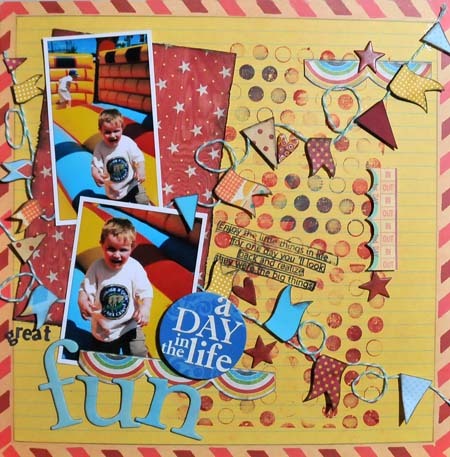 I used the sketch this week at Sketchy Thursday as inspiration for my layout!! !